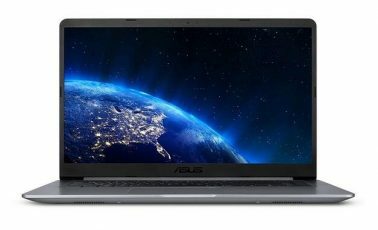 Home / How To / How to Get Rid of (Delete) Android Viruses? 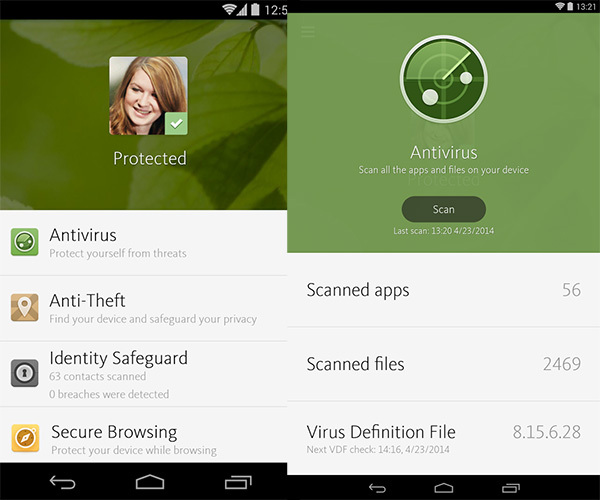 How to Get Rid of (Delete) Android Viruses? Android is a very flexible operating system. Compared to competing platforms like iOS and Windows Phone, it gives more freedom of action to the user, but this evident advantage means taking some more risks about informatics safety. The opportunity to install apps from external sources, “outside” the Google Play Store, and the pretty wide spread of the operating system (it’s the most used platform in the world, as regards smartphones) has meant that Android attracted some unpleasant attentions from cybercriminals, who create malwares aimed to spy the users’ activities, collecting their data and sometimes activating some very expensive premium services by SMS. To protect yourself from this kind of risk, you need to use your own smartphone/tablet wisely, avoiding downloads of apps from external sources (but it must be said that sometimes, viruses have been found even on the Play Store, disguised as innocuous games or apps) and, if possible, installing a good antivirus: there are many of them, even for free, without slowing the system down at all, and getting to guarantee a great level of protection. If you want, I can suggest you some of the best ones around and teach you how to delete Android viruses by using them. It won’t take long, I promise. 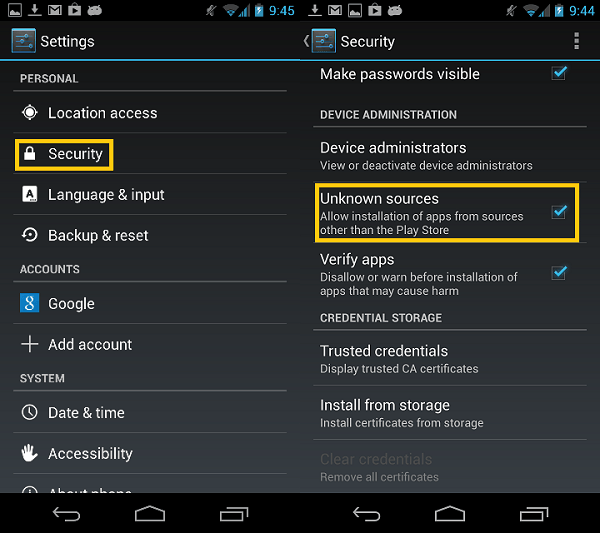 Go to the Android Settings, select the Security entry from the menu and check if the Unknown sources is enabled. If yes, disable it and then the installation of apps from external sources will be blocked automatically. Now you have a reasonably safe-to-use device but, beware, not immune from the malwares risk. If you want to rest even more easy, you must install an antivirus like the ones I’m going to suggest you, but knowing that you’ll have to renounce to a bit of memory and/or performances to make the software control the system in real time. Have fun! An Android antivirus that I highly suggest you to try is Avast, which includes an antimalware protection with real time scan of recently installed apps on the device, finds the apps that are most dangerous for privacy, blocks unwanted calls, blocks the access to the apps through a password and allows to find the device if it gets lost or stolen. To install Avira for Android, search for it in the Play Store and tap the Install and Accept buttons. Then open the app, tap on Continue and run the first antimalware scan of your smartphone/tablet by pressing the Analyse this device button. Besides this thing, there’s not really much more to explain, Its interface is extremely easily understood: by selecting the Smart Scan option from the main menu and pressing the Analyse this device button, you can run a new on-demand scan of the system; by selecting the Check Wi-Fi entry you can test the security level of the wi-fi network you’re connected to, while by going to the Settings section you can find all the “extra” information about Avast. Among the “extra” features of Avast you can find: Block app, to block apps with a password; Privacy Advisor, to find out which apps are more risky for your privacy; Block calls, to block unwanted calls and Firewall, to regulate the access to internet connection for the apps. 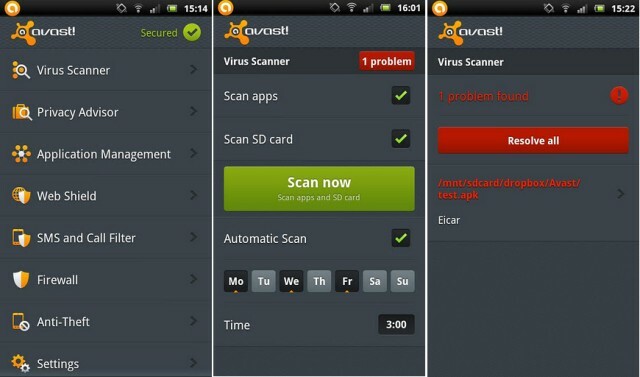 In the end, I remind you that by going to the Other Avast products and Storage sections of Avast, you can find links to more free apps that Avast realized for Android, such as Anti-theft and the system cleaning app Avast Cleanup. 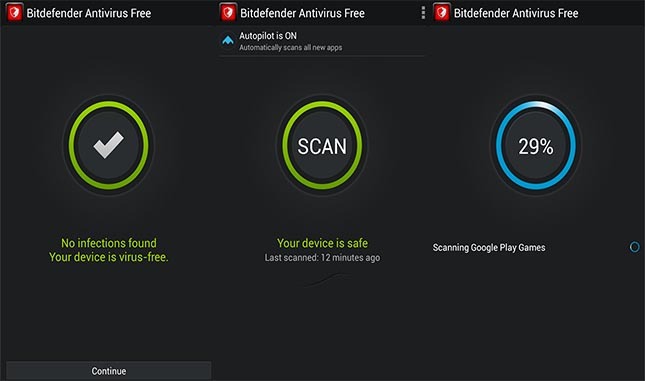 The Android version of Bitdefender gives always great results in comparative tests, but unfortunately its free version offers only a very few functions compared to the competing apps: it lets you run on-demand scans of the system, monitor newly installed apps, but doesn’t have any anti-theft feature, can’t block unwanted calls and doesn’t allow to deny the access to the apps you want to keep private. To install the free version of Bitdefender on your smartphone/tablet, search for Bitdefender Antivirus Free on the Google Play Store and tap the Install and I Accept buttons. Once the download has been completed, run the app, press the Accept button and start a complete system scan by using the Scan button, at the center of the screen. 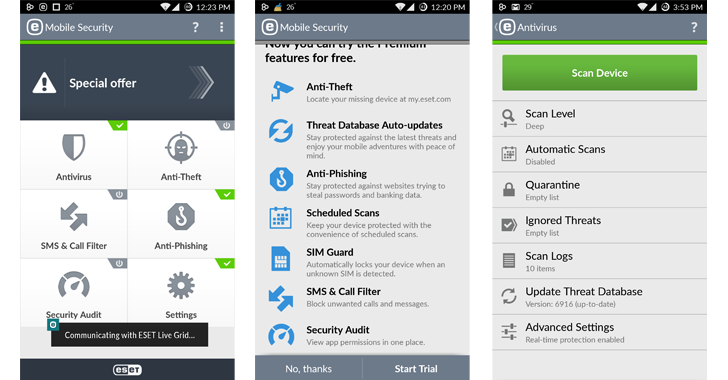 If you’re looking for a more complete solution about security, which deletes Android viruses and at the same time lets you know the position of the device in case it gets lost or stolen, blocks unwanted calls etc., the give Bitedefender Mobile security and antivirus a try, it costs only 1,49$ per month or 14,95$ per year, including a 14 days free trial of all of its features. 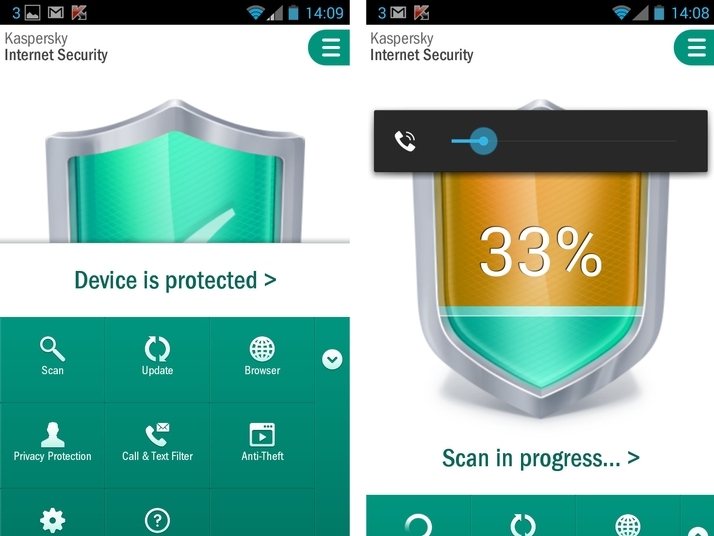 Another Android antivirus that I want to suggest you is Eset Mobile Security, which unfortunately, just like Bitdefender, offers a pretty limited number of features in its free version. The free version gives the opportunity to run a complete scan of the system, examine recently installed apps automatically, but doesn’t update the antimalware definitions in real time; it includes an anti-theft function (more limited than the pro version) but doesn’t filter unwanted calls, see which are the more privacy-risky apps, or block phishing attempts. You can find the premium version of this app for just s 30 days period, then it costs 6.95€ per year. To download the free version of Eset on you smartphone or tablet, open the Play Store, search for it there and tap the Install and I accept buttons. After that, run the app, set your language to Italian and tap I accept to run its startup setting configuration process. Then, put the check next to the I want to join Eset Live Grid entry, to benefit of the cloud protection of Eset, go ahead and select the Enable detection option from the drop down menu in the middle of the screen, to activate protection against potentially dangerous apps (not actually considered as “malwares” yet in the definitions, but still suspicious). In the end, choose whether to try the free versions of Eset right away or activate the free trial of Eset Pro, and wait for your smartphone/tablet’s full scan to be completed. Then, the app will provide to monitor the system in real time. Avira Antivirus Security hasn’t really did that good in the last comparative tests, but it gets to guarantee a great level of protection anyway, without slowing the system down that much. It’s free but includes some functions that could be unlocked only by registering to Avira’s online services, or upgrading to Avira Security Pro, that costs 11.99$ per year. Features offered in the free version are those related to the antimalware protection (with on-demand scan and automatic control over recently installed apps on the device), the block for unwanted calls and the detection of the apps that could be risky for the privacy. Who created a free account on Avira’s online services can, moreover, benefit of the anti-theft function in order to find the smartphone in remote, of the anti-phishing protection and block the apps through a password. For those who upgrade to the PRO version of the app, a protected browsing system is available, to block dangerous websites and let the user make bank operations completely safely; there are definitions updates every hour and there’s a dedicated technical support. To install Avira Antivirus Security on your smartphone (or tablet), search for it in the Google Play Store and press the Install and I accept buttons. Then run the app, tap the Ignore the tour entry to skip every presentation, and choose whether to register for Avira’s online services (for free) by tapping Register, or skip this step for the moment by selecting the Register later entry at the bottom. At the startup, the antivirus runs a system scan automatically. Wait, then, until the operation is completed and delete the potentially dangerous elements detected on the device. To unlock the anti-theft, identity protection (anti-phishing), app block and blacklist (to block annoying numbers) features, select the appropriate entries in the Avira’s main menu. If you want to run a new manual system scan, select Antivirus and tap the Scan button. Finally, I want to spot you Kaspersky Internet Security, another very appreciated antivirus that offers lots of interesting features: antimalware scan (with real time protection for premium users only), incoming calls filter, and anti-theft. Web protection, abti-phishing filter and private contacts,text and calls concealment are only available for users who buy the premium version, which costs 14,95$ per year, but you can try it for free for a 30 days period. To install Kaspersky on your smartphone or tablet, search for the app in the Google Play Store and tap Install and I accept. After that, run it, select Italy from the drop down menu for the country selection, press next and accept the terms and conditions of the antivirus, then press Accept and continue. Now, choose whether to create an account to benefit from the remote use of commands, the remote managing of protection and the access to more Kaspersky’s services, or to go on, ignoring this step and then decide if you want to use the free version or purchase the full one. In the end, tap the Run the scan button and wait for the results of the system check. All of the features of the app are available from its main menu, which appears by pressing the arrow at the bottom-right. If you want a larger overview about Android antivirus, I suggest you to visit AV-Test.org, which sometimes releases some kind of comparative charts with the best app for the category. Antivirus can be sorted by their effectiveness, by clicking on Protection entry, or by their level of usability, by clicking on Usability. 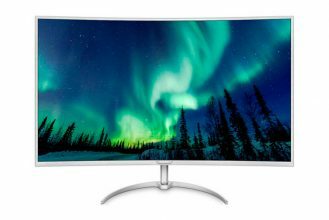 Previous Full HD vs 4K: what differences are there?